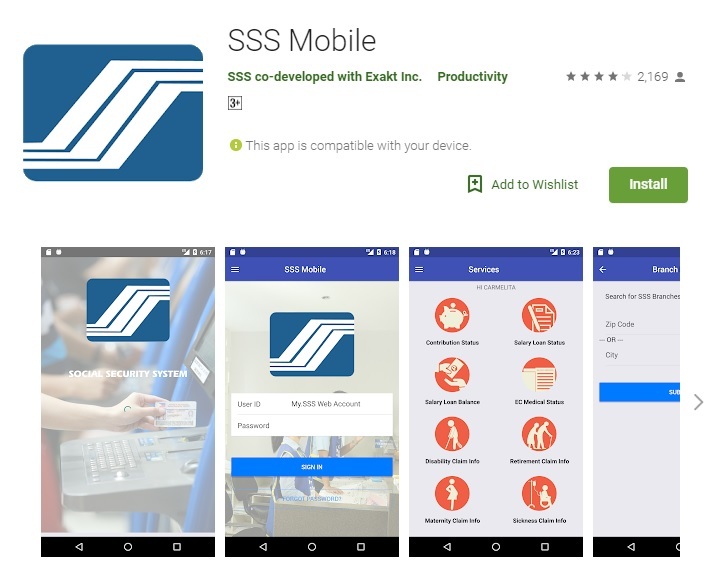 The Social Security System or SSS can now be accessed through SSS mobile app as the government agency launches the SSS mobile application just recently. Through the use of members’ tablets and smartphones, they can now access their membership information conveniently. With so many transactions made and accommodated in SSS, members are having a hard time asking for queries and knowing the status of their SSS records or membership and others. In the statement of Emmanuel F. Dooc, Social security President, he said that the mobile application was launched in order to respond to the need of the members for easy and convenient access to information. The creation of this app gives the members the freedom to view their SSS records as well as other vital information they needed. They can do this without putting an effort to visit the SSS office or branches. Members will be able to save their energy, time and money. The SSS president even added that according to recent researches, there’s a 70% increase of smartphone usage in the country this year. With that, it is one great opportunity to grab. Will SSS Mobile App Work On Your Smartphone? People who are using smartphones that are at least Andriod 4.4 KitKat can use the application. For Apple users, the phone should at least have a minimum of iOS 8.0. If your smartphone or Apple tablets are in those categories, then you’re now ready to explore SSS online. The first thing you need to do is to download the mobile app. How to Access Account through SSS Mobile Application? You can access your account through logging in the details of your existing My.SSS account. On the other hand, if you haven’t yet had an online account for SSS, you can register using the mobile application. Just click the ‘register’ button in your mobile app’s sidebar to register. Take note that you should know your SSS number in filling out. What You Can Access Through This SSS Mobile Application? *Note: Applying for a loan is not applicable in this mobile app. These days, everything goes online and more technological and makes everything works faster compared to falling in line and suffering from several transaction difficulties. The mobile application made it possible for SSS members to know faster and move faster.